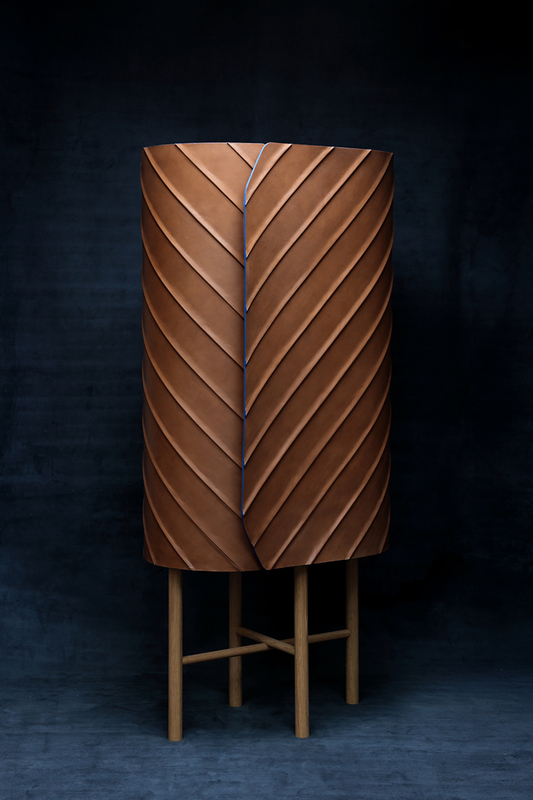 designer pierre charrié in collaboration with leatherworker maison fey have come together to create a sophisticated leather-clad cabinet. 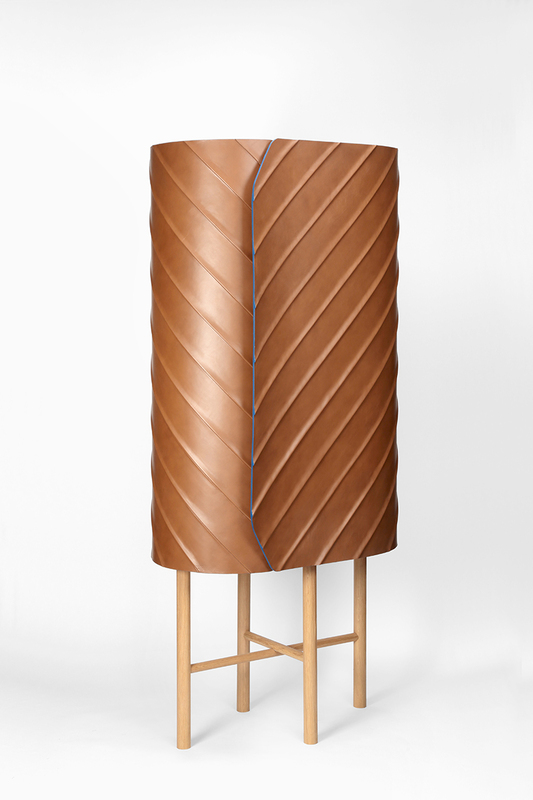 strips of leather are stitched together and wrapped around the cabinet to gently protect its content, resulting in a soft piece of furniture mounted on top of straightforward oak frame. 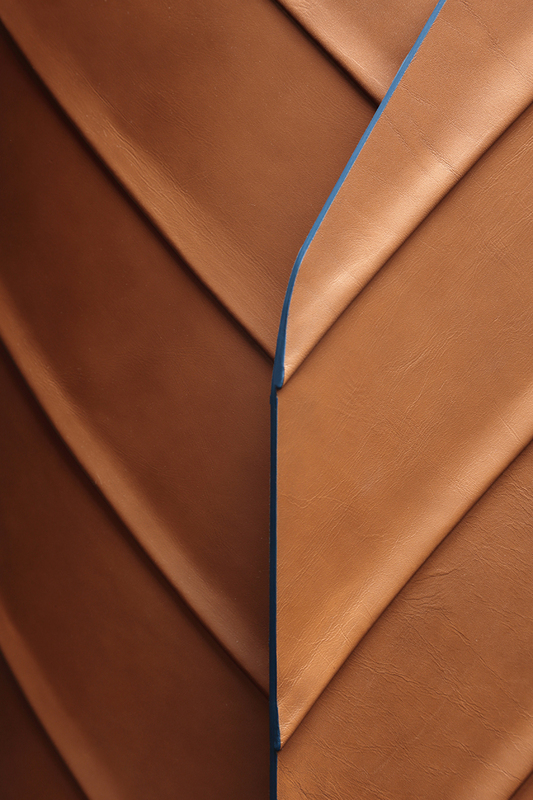 initiated by the Péri’Fabrique program, who invites designers and craftmen to join and create objects to be showcased at the grand palais during révélations and designer’s days festival in paris, charrié and maison fey‘s collaboration features impeccable details. 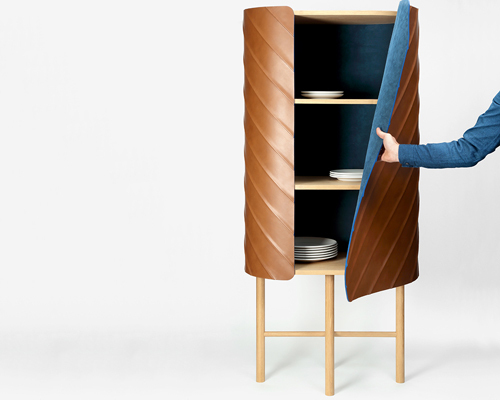 the cabinet’s door is flexible and held in place thanks to invisible magnets hidden in the lining. 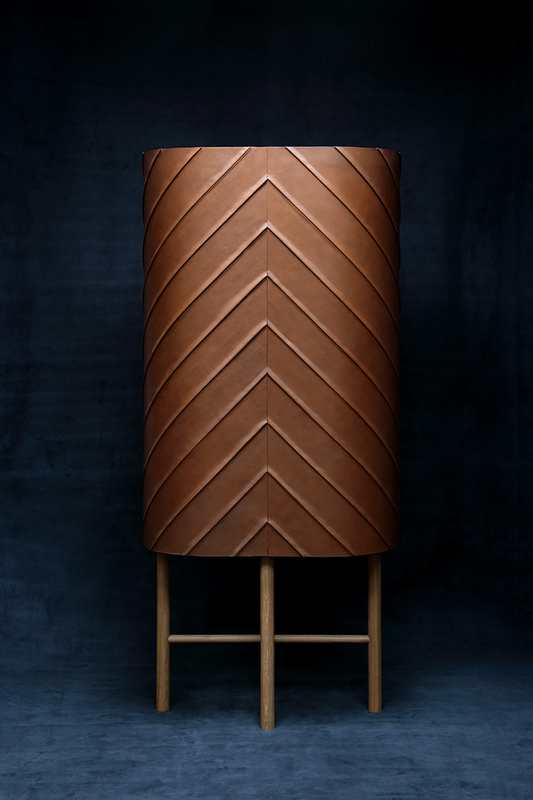 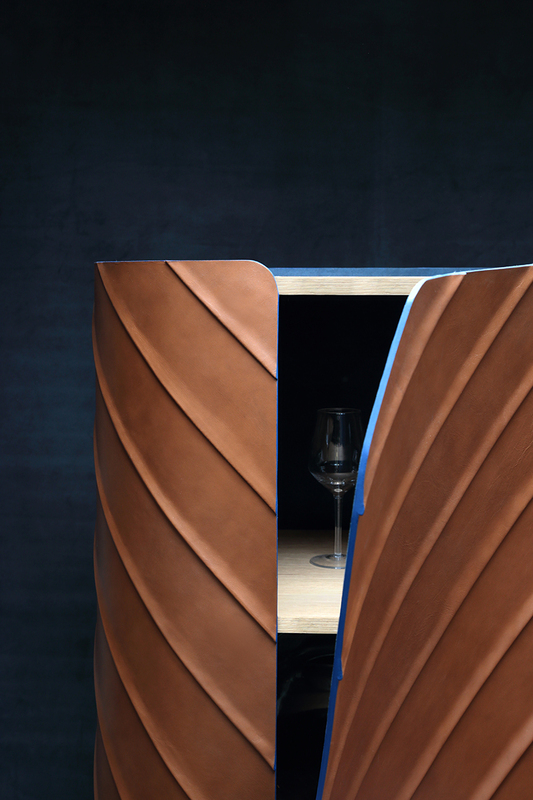 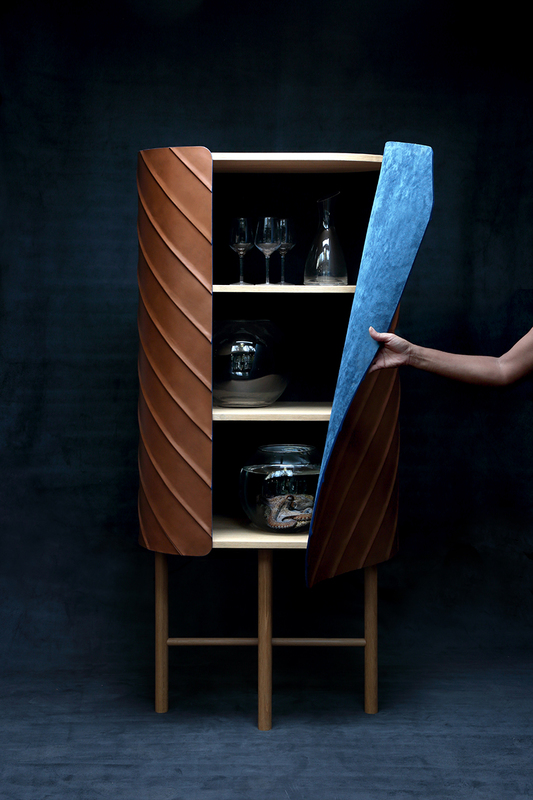 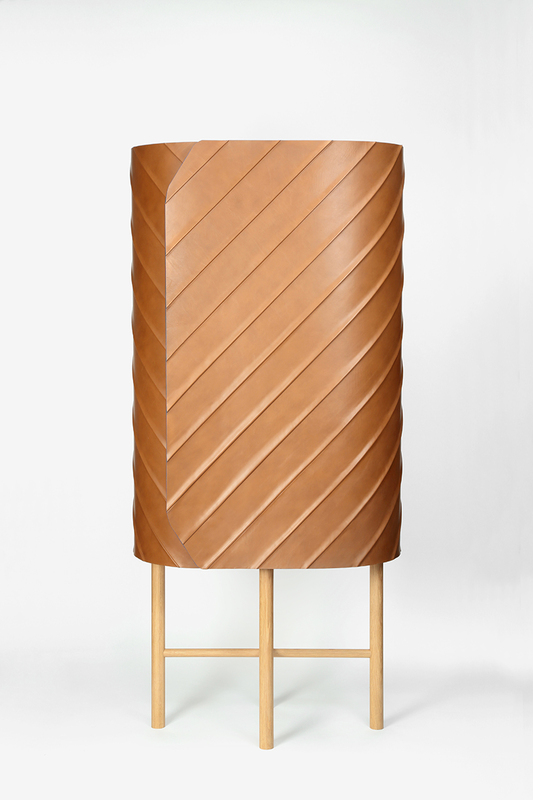 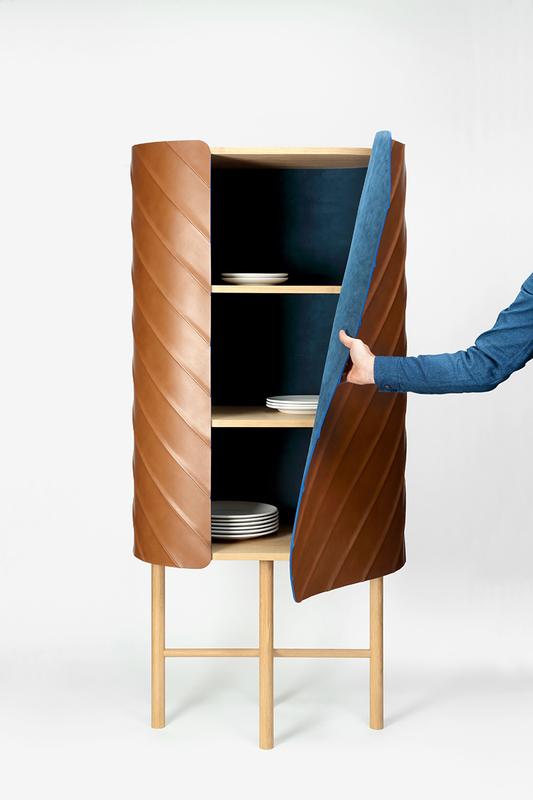 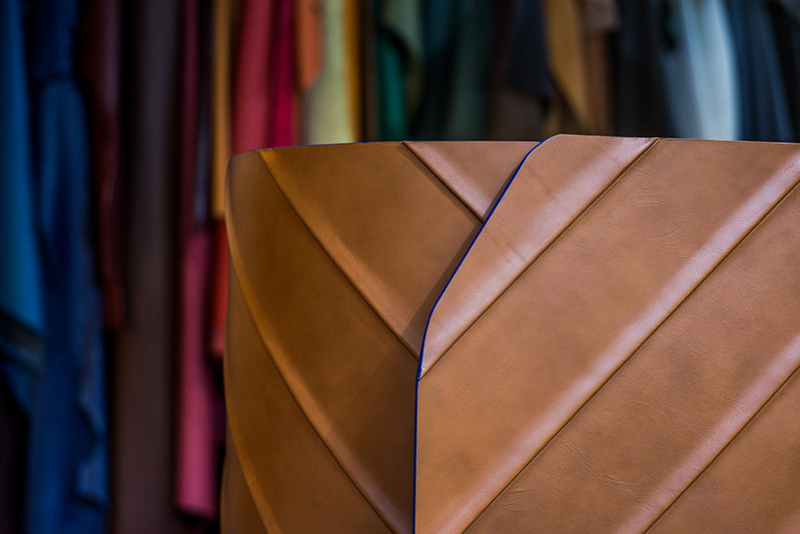 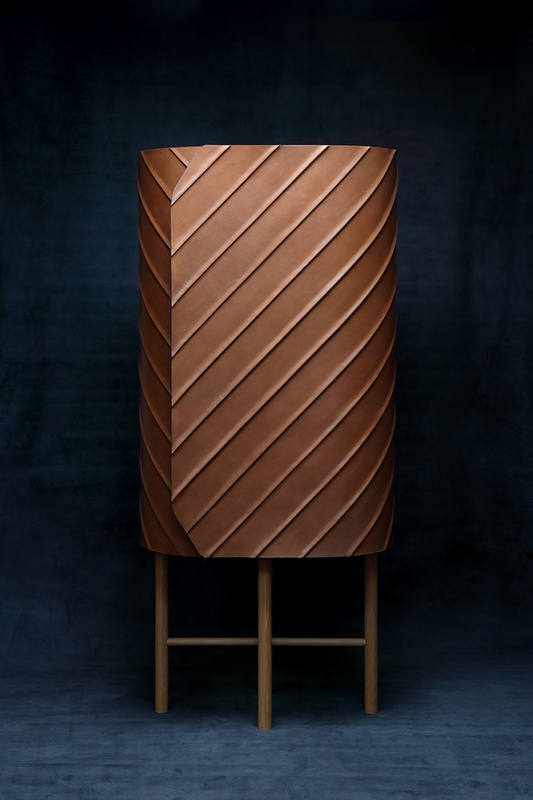 the leather wrap is made of two parts joint together at the back of the cabinet, resulting in a chevron-like pattern.